Pagenstecher GROUP will soon break ground on another exciting Chevy Chase, Maryland home renovation. Over the next several months we will be detailing our process from design thru finished construction. Keep checking in to follow the project as it takes shape. 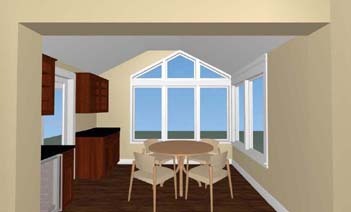 The breakfast room addition gives relief to the compact kitchen footprint. 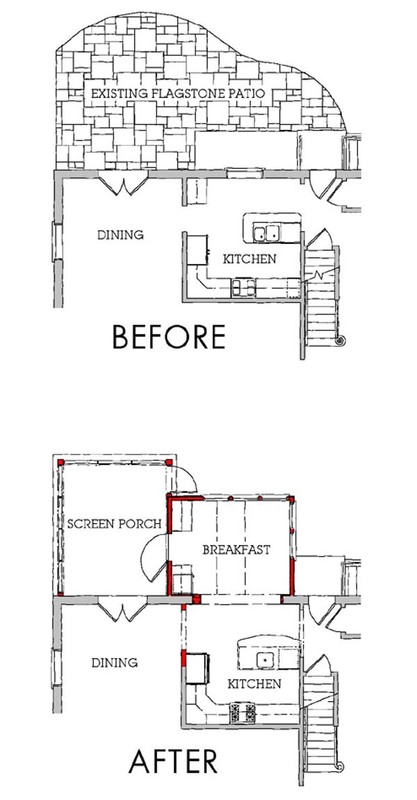 Relocating, and widening the opening into the dining room maintains the efficient kitchen layout while reinforcing a natural circulation path along the back of this Chevy Chase, Maryland residence. Adding drama, expansive views, and natural light to the once secluded kitchen transforms the space into a pleasant center for the owners of this Chevy Chase, Maryland home.